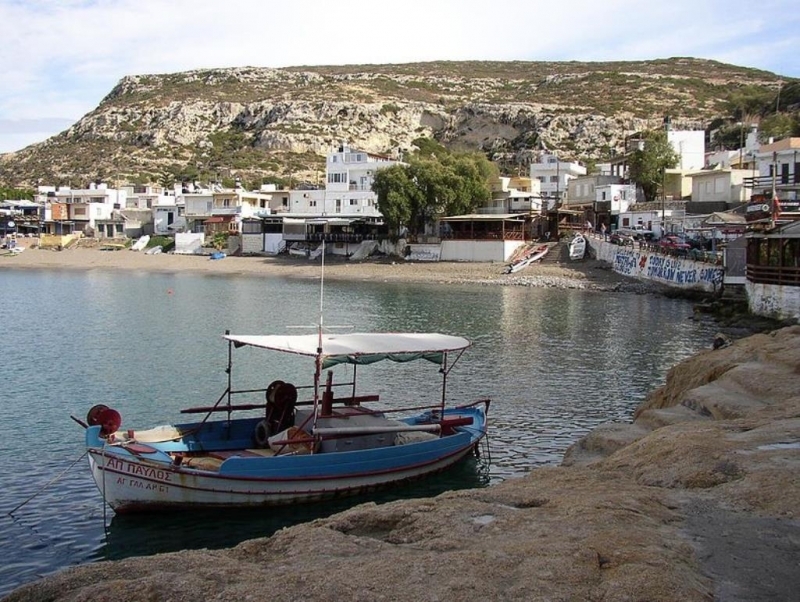 Matala is situated in the south coast of Crete, in the gulf of Messara, in a very beautiful and picturesque place, about 70 kilometers from Heraklion city. It is a small piscatorial village with a beautiful, famous, sandy beach. Its clean, blue waters and its small man-made caves, which are carved out of the rock in the steep cliffs, make the beach of Matala unique. 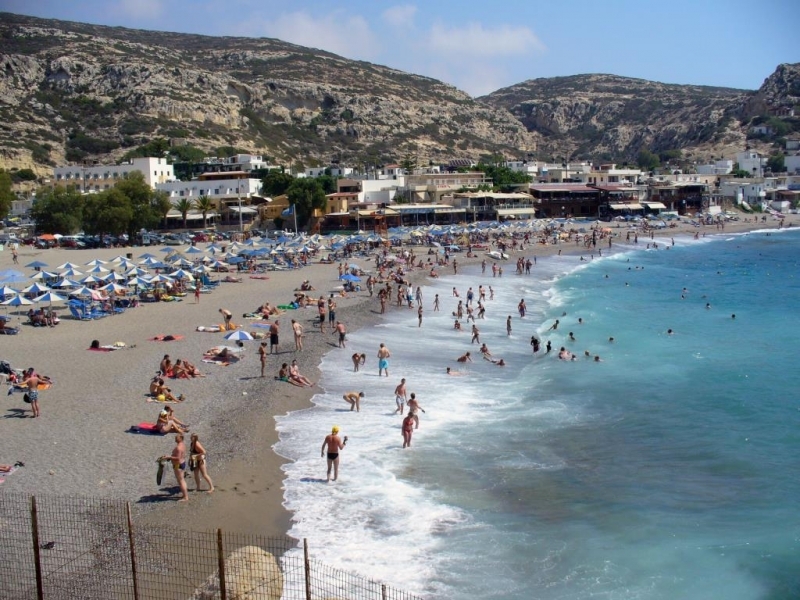 It is worth mentioning that the beach in Matala is one of the 400 beaches of Greece that has been awarded of the blue flag. This eco label is given to beaches under strict criteria as far as the quality of the water, the environmental management and the safety of the swimmers are concerned.